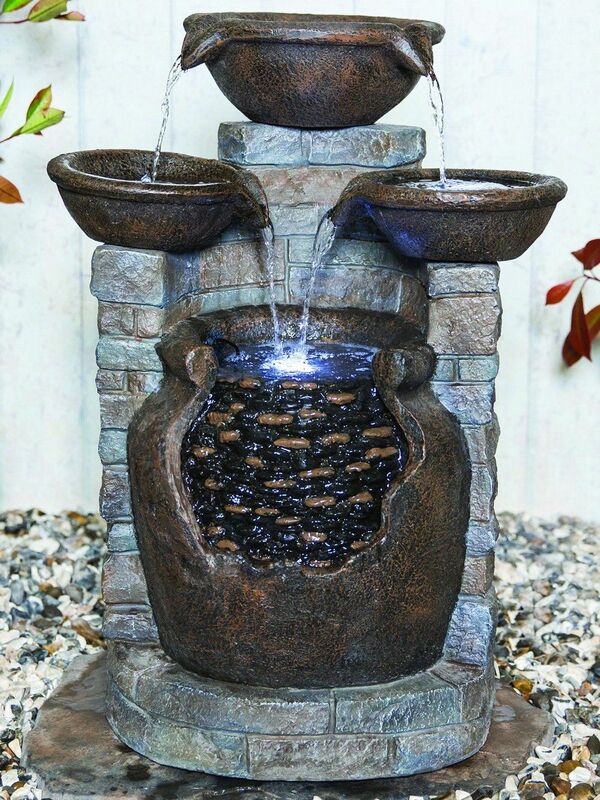 Antique Spills with LED Lights Garden Water Feature. Antique Spills with LED Lights by Kelkay - 45066L - is a traditional style water feature that will enhance any garden or patio. Water flows from a pot at the top of the feature through two further pots and down into a large pot at the base. LED lights in the pots illuminate the feature at night. 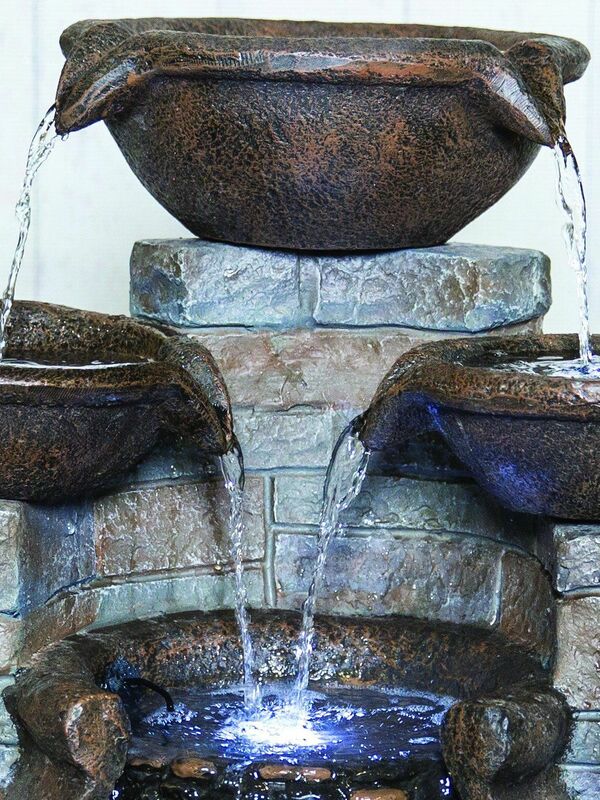 A traditional style water feature made from tough poly-resin. Self contained and supplied with pump and fully self contained reservoir. Use small size water feature protection cover (not supplied).